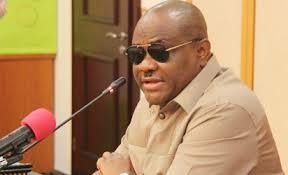 Rivers State Governor, Nyesom Ezenwo Wike has declared that Nigerians should work towards electing a president with administrative and economic experience to move the country forward. According to Wike, the APC-Federal Government had destroyed the foundations of governance and stagnated development across the country. He said that there would be no difficulty in sacking the Buhari-led administration, since the ‘incoming President’ is also a northerner. Simeon Nwakaudu, the Special Assistant to Governor on Electronic Media, quoted Wike as making the comment on Monday at the Government House Port Harcourt, when the National President and Executives of the Nigerian Medical Association visited him. He said, “We need a man with experience and economic understanding to drive the country forward. “We must save Nigeria. We have suffered. We must make a statement that we cannot continue like this. “Luckily, the next President is coming from the North. The excuse of north and south is no longer tenable. Nobody should deceive us,” he said. He berated the APC Federal Government for politicizing the fight against corruption by using Anti-Corruption agencies to fight the opposition. “Nigeria is stagnated. It doesn’t matter where you come from. As a medical doctor, ask yourself, in the last three years, has the country made any progress? “This country has never been this divided. You must be healthy in a healthy country. You cannot be well in an unwell country”, he said. While thanking the doctors for visiting Rivers State, he said that his administration will continue to invest in the development of the health sector. He directed the State Head of Service to immediately reinstate Dr Sofiri Peterside in the Rivers State Civil Service. Earlier, First Vice President of the Nigerian Medical Association, Dr Tijo Kenneth Mingeh praised Governor Wike for his investments in the health sector. Dr Mingeh said that the doctors are in the state for the Physicians Week 2018 with the theme: “Universal Health Coverage: Leaving No One Behind “. The NMA leader said that the theme is motivated by the need to improve health for all people and stamp out quackery.